What do you get when you pose a question like this to a bunch of committed teachers and teacher trainers? Before anything else happens, you get an argument about definition of terms. 09:01pm @victorhugor: What’s the difference between teacher trainer and teacher educator? Marisa Constantinides found this link to a discussion of the distinction between Teacher training and teacher education (from his classic Aspects of Language Teaching). The basic distinction that teacher training tended to occur more in a pre-service setting (hereafter: PRESET) whereas teacher education tended to happen more at in-service (hereafter: INSET) level was queried but not seriously disputed by most participants. However, as the chat went on, it became clear that this “false dichotomy” (as I called it) led, once accepted, to some fairly radical statements about the nature of teacher training. ceririhannion 09:05pm RT @PhilPethybridge: They have GOT to still be teaching! 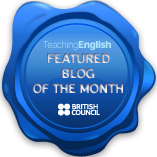 #eltchat; some can’t fit both in – training schedules 2tight 4 classes as well? This connected later with the point that Teacher Trainers needed to be prepared to adapt their own ideas about teaching – and admit that they might, on occasion, be wrong. Sharon Hartle listed endless stamina, being a good listener, being open minded and possessing all the qualities of a good teacher too as essentially summing up the skills set that teacher educators needed to have. In this, she anticipated a later and lengthy discussion about whether or not teacher trainers needed actually to be any good at teaching. As the discussions continued and interweaved, an interesting question started to emerge: if qualities of good Teacher Trainers are identical to those of good Teachers, can all good Teachers be(come) good Teacher Trainers? Marisa Constantinides thought yes, though this does not happen in practice. The question is whether this means in theory it is not in fact possible. Related to this was the other question of whether a good Teacher Trainer needed to be (or have been) a good Teacher (and therefore, an elite Teacher Trainer – however one would define such a person – would have needed to have been or be an elite Teacher). This led to a brief digression into sports which suggested that several tweeters thought “not necessarily”: sports coaches are usually reasonable at their game, but often no more than that. Somewhat embarrassingly, this brought to mind something I had heard the novelist Graham Greene saying in an interview which was part of a listening activity in the first edition of Headway Advanced (unit 2, if you are interested! ), where Greene says that, to be a good novelist, one needed “a splinter of ice in the heart“, a capacity to observe and process events dispassionately. Several participants seemed to agree that this was a useful metaphor to describe this observer’s quality. Sharon Hartle made the point that Teacher Training can often be a matter of sharing expertise whereas Teaching is not. This suggested that Teaching is essentially more transmission-mode biased than Teacher Training, which is an interesting argument left unexplored by most of the discussion. There was also the question of whether whole-course/pre-service Teacher Training and INSET Teacher Training were fundamentally different and therefore required different skills from the trainer (this question was posed by Shaun Wilden at 09:27pm). One aspect of this large question that got nailed down was the fact that INSET tended to be more discrete and packaged (eg “using wikis” as a single target for the training session) whereas PRESET needed a more integrated, holistic approach. Does it matter where you come from? The Native speaker /Non Native Speaker distinction in teacher training was summarily dismissed almost as soon as it emerged (09:50pm). Perhaps appropriately considering the initial comments, this suggested that, first and foremost, a good TT needs to be a good learner. Here is the complete transcript of the chat in case you want to follow up any of the threads mentioned here. Difficult to disagree with the idea that good trainers are good teachers, but that very much begs the question about what makes a good teacher! This is always a live question, but current ideas from Dogme and the recent Demand-high ELT are challenging the kind of teachers being produced by training (presumably run by ‘good trainers’ reflecting ‘good teaching’)! In both discussions here and on Demand-high ELT earlier in the year, there’s surprisingly little comment on language. That might be because of the nature of Twitter, but I throw out this idea: a good TT be very good with language, be experienced in dealing with a large variety of language and responding to students output. They also have an enthusiasm for noticing new patterns and possibilities of language to teach. They can enthuse new (and old!) teachers to notice language, to give good examples and to ask good questions about language. Thank you very much for commenting, Andrew, and deep apologies for such a late reply. I agree that Dogme and Demand High ELT both entail the need for highly language attuned teachers, and this dies suggest the need for similarly attuned trainers and training programmes. Interesting that you suggest this isn’t typically the case in your view. This was one reason we changed our CELTA to prioritise developing teacher listening skills and language scrutiny from day one: for me, this is the foundation of a good teacher of language especially to adults. I recall your colleague Hugh Dellar mentioning a course you run which seeks also to do more in terms of developing teacher language sensitivity – can you say a bit more about this?